Simply Seatrade is the magazine of Dutch shipmanagement company Seatrade. 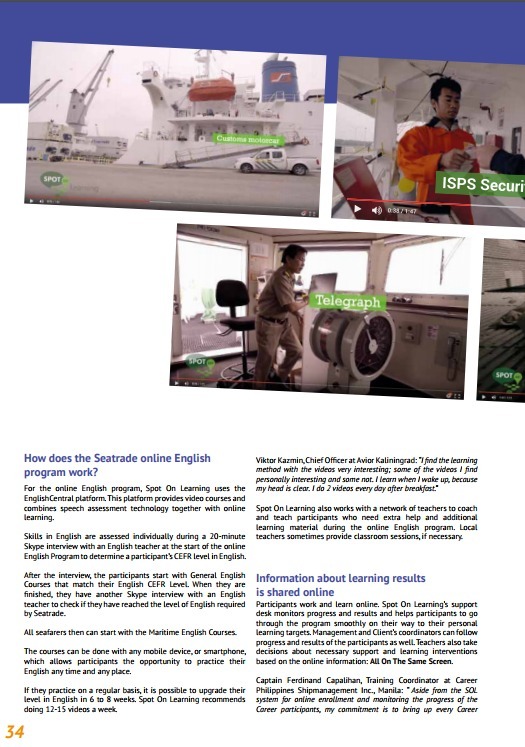 In the first edition of 2017 an article was published about the online English program for all Seatrade’s employees worldwide, which is provided by Spot On Learning. Seatrade Shipmanagement is a shipmanager of a diverse fleet of vessel types. 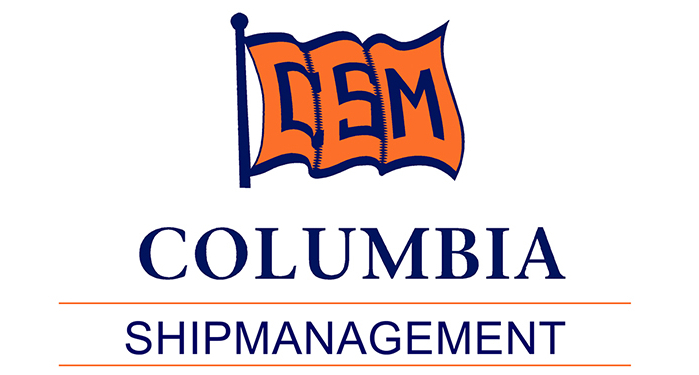 The Dutch company has 70 vessels in full and 10 vessels in partial management. That includes including vessels of its 100% owned German shipmanagement company Triton, Seatrade Italy and Seatank Management. Simply Seatrade is a magazine published by Seatrade to inform it's employees, clients and stakeholders about news and developments in and around the company. The cooperation between Seatrade and Spot On Learning started full scale in 2016, after some first pilot projects in 2015 in Kaliningrad, Russia. In 2016 two groups of professionals from Seatrade HQ Staff ashore and Management level went through the program and around 650 Seatrade seafarers from Russia, the Philippines and several other countries followed. The online English program, developed bySpot On Learning in close cooperation with the Seatrade management and Seatrade crewing department, has proven to be an effective way to help all employees worldwide comply with the quality standards set by Seatrade, the so called Seatrade Standard. different nationalities and cultures on board and ashore. Therefore, English communication is of paramount importance for the company and the safety on board. Being able to communicate effectively in English can be a matter of life and death. Manning agents in Russia and the Philippines have been involved in rolling out the online English program for all Seatrade seafarers worldwide. In the article Capt. Ferdinand CapalihanTraining Coordinator at Career Philippines Shipmanagement Inc., Manila and Grigory Dryuk, Financial Director of Fescontract International, Vladivostok share their opinions and experiences about Seatrade's choice to upgrade the level of English of all employees worldwide. You can read the article by clicking the 'downloads' link or the illustration below or you can read the full edition of Simply Seatrade Magazine 2017-1 online by going to the 'Simply Seatrade' section of the Seatrade website.